Or use our contact form to get in touch with a representative. 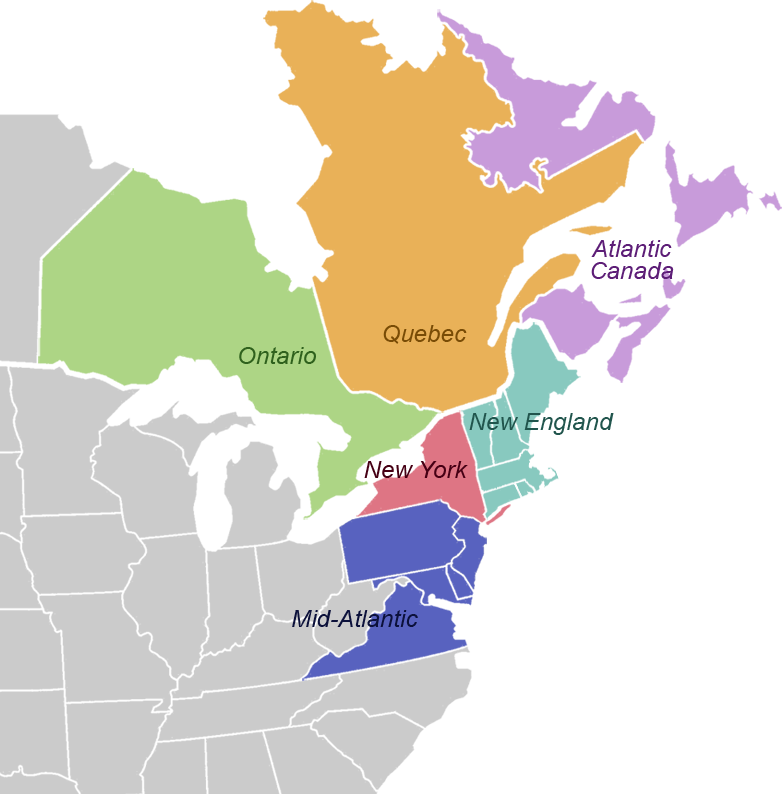 Choose from multiple destinations in Eastern Canada and Northeastern United States. Hospitality Tours has been providing outstanding tours to destinations like the Canadian Maritimes, New England Fall Foliage, Quebec, Washington, DC, Niagara Falls and New York City since 1981. You can be assured that you'll be creating memorable vacation experiences for your clients and customers. Hospitality Tours, a member of the National Tour Association and Heritage Clubs International, provides you with quality, expertise and customer service that is beyond ordinary. Start by choosing your destination from the map. Hospitality Tours has the destinations you want during the best seasons! Travel with us to Washington DC in the Spring, Nova Scotia in the Summer, New England during Fall Foliage, New York at Christmas time, Cape Cod all season long or anywhere in the Northeast. Our locally guided motorcoach tours give you the greatest variety of trips to some of the most magnificent places anywhere on earth. Call Ted Nelson today at 800-966-1331. As our owner, he speaks with every client to learn what they are looking for in their tours and how we can best assist. He has the most knowledge about what is happening now, where to go, when to go and what to do. You'll appreciate our "insiders" knowledge of attractions, entertainment, dining and lodging for the destinations you choose. We'll provide you with outstanding, personalized service; and best of all, peace of mind. Our tours have lots of options and they are great revenue opportunities. A successful tour with us is one that will bring your travelers back again and again. Now that's Hospitality!